Here is another lease opportunity. This nice strip mall location has 2,200 square feet, two hood vent systems, and two dining areas. There is a bonus office and store room located inside upstairs, at the rear of the restaurant. There is a Chinese restaurant in this center, but all other types of food are welcome. 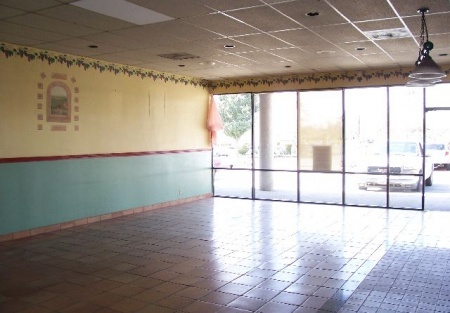 This would make a great Diner, Mexican, Pizza, Italian, or Middle Eastern style restaurant. Just bring YOUR concept! The base rent is $1.25 sf, and CAM is .25 sf. Total rent is $3,300 mo. This is one of the best Landlords that SellingRestaurants works with. Come see this location. It's time to BE YOUR OWN BOSS! This is YOUR OPPORTUNITY!! Select one on the orange buttons below, register at no cost or obligation, and receive more photos and the address of this location. As a priority buyer, you will receive all price reductions, and all new listings, before they are released to the general public! Low Rent, PLUS Great Landlord!